Most of you have probably noticed that we rarely feature a chain restaurant. 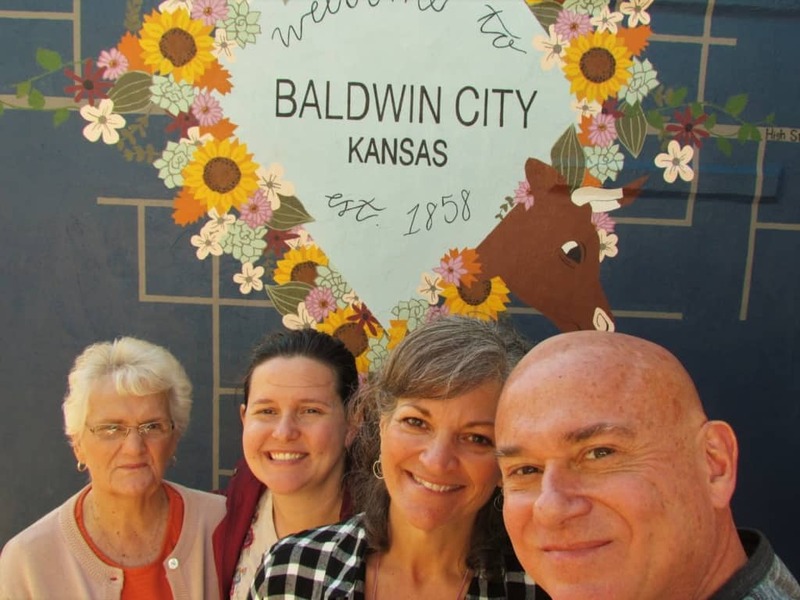 It’s not that we don’t visit them, it’s just that we figured the majority of you already know plenty about each of them. Periodically, we will include one, when we believe that it offers a view into a destination that offers something out of the ordinary. 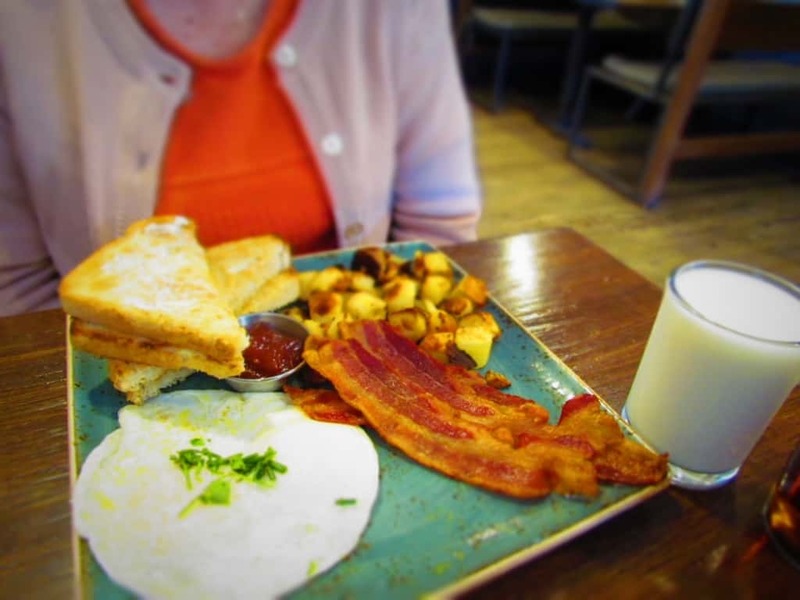 First Watch is certainly well known to many, but they have long had a stigma of being an eggs & bacon stop for senior citizens. These days they offer so much more, as they have completely redesigned their menus and restaurants. When we said that First Watch has changed their menu, we didn’t mean that they have completely abandoned the basics. A standard breakfast is still available. These days it includes cage-free eggs, seasoned potatoes, crispy bacon, and artisan toast. This new twist on an old favorite is filled with flavor and provides plenty of protein to fuel a busy morning of exploring. They even toss in some all-natural preserves for the toast. Not surprisingly, if you put the four of us together, you will get four different meals being ordered. Of course, the good thing about that is everyone is willing to share bites from their dishes. So that means I get to take plenty of photos of delicious plates, and taste test them, as well. Obviously, the Pumpkin Pancakes had to be ordered. This seasonal dish is so good, and when you toss in some bacon and eggs you have a meal that will stay with you for quite a while. An easy way to get this combination is to order the Tri-fecta, which includes these three components. You can substitute a Belgian waffle for the pancake, if you desire. 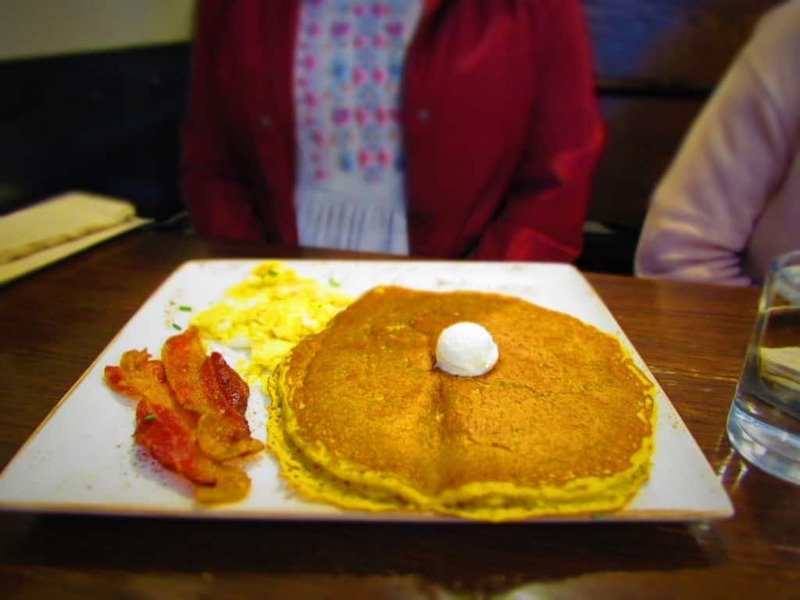 First Watch offers plenty of scrumptious pancake options, which rotate through the seasons. 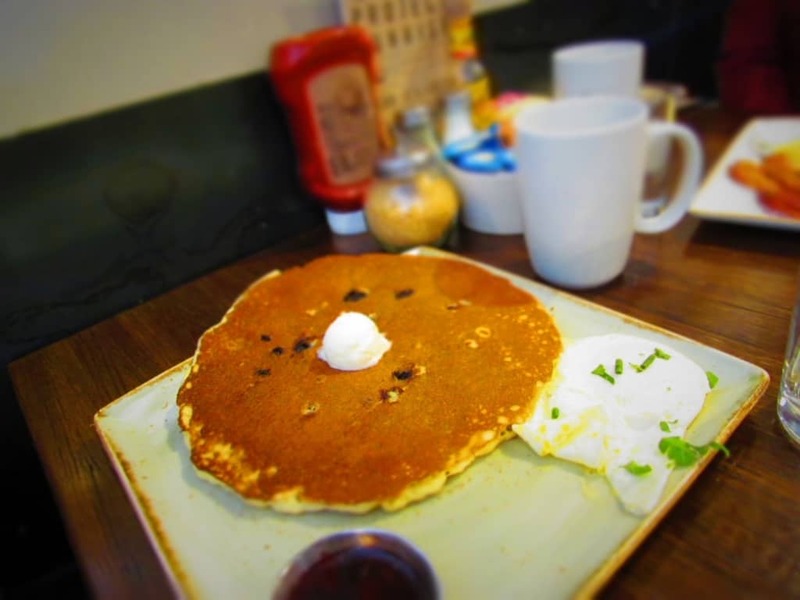 The Blueberry Pancakes are accompanied by a blueberry compote that really boosts the flavor. No need for syrup with this combination. As before, the addition of some protein (Another egg.) helps this dish stay with you. Rest assured that the cakes are multigrain and pretty big to boot. With all of these dishes looking like a normal breakfast restaurant, I decided it was time to toss in a little twist. A couple of years ago was the first time I had sampled an eggs Benedict, and I immediately fell in love with the flavor combination. Since that time, I have tested them at many restaurants along our way. It seems these days that quite a few places have discovered just how versatile this dish is, and throw their own twists into it. First Watch usually has four or five versions available, and I have sampled all of them. 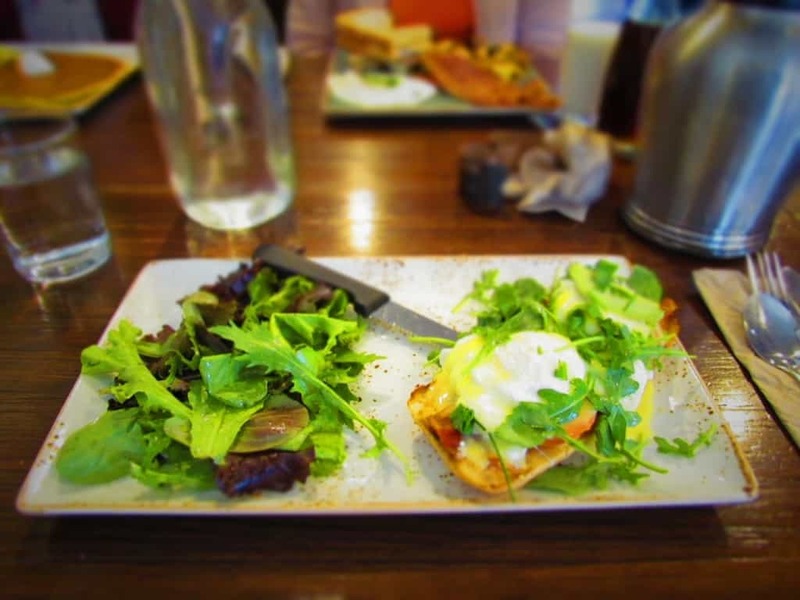 My favorite is the BLT Benedict, which combines poached eggs, bacon, tomatoes, avocado, and lemon-dressed arugula. These are assembled on top of a crispy slice of ciabatta bread and then drizzled with hollandaise sauce. A side of mixed greens helps complete this healthier breakfast option. I find it offers plenty of protein to keep me exploring well into the afternoon. With all of this food in front of us, you can bet that no one left hungry. 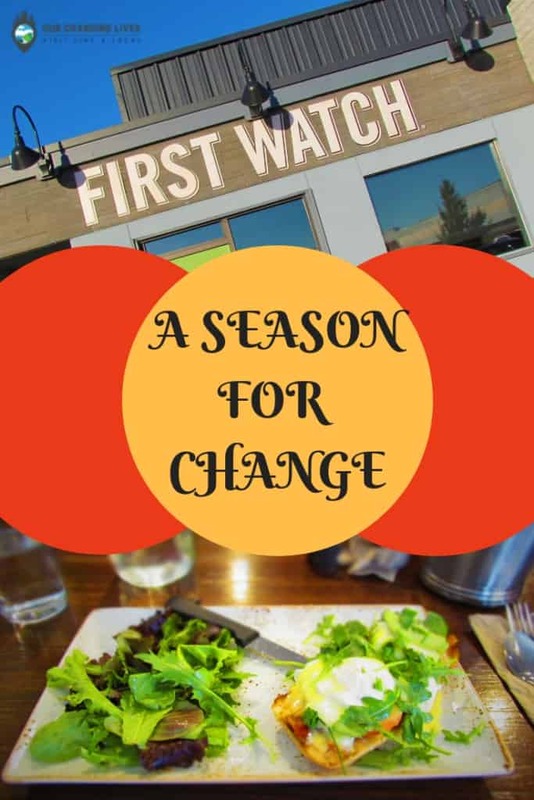 If you haven’t tried First Watch in a while, you should drop in and see how much they have changed. So, are you a pancake person or would you go for one of the egg dishes? Share this with your breakfast buddies!